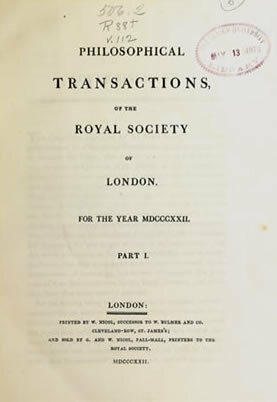 For many decades after the inauguration of the Philosophical Transactions of the Royal Society, few new scientific journals appeared, and many of those lasted for only a short time. By the end of the 18th century, there were several hundred, most of which were still "generalists," publishing research and observations on everything from astronomy to zoology. At the same time, magazines began to flourish and many of these included a good percentage of scientific articles in their issues. Researchers began to notice that there was a need for purely scientific journals because (a) there were so many publications that it was impossible to read all of them and (b) the content of the articles was becoming too specialized for the laity, with the double problem of misunderstanding or boredom by the general reader. The first specialist science journals were often devoted to medicine and agriculture. By the early 19th century, even those fields began to branch into sub-fields such as anatomy or pharmacy. Most of the great science journals, such as the Annalen der Physik, Justus Liebigs Annalen der Chemie, and the Proceedings of the Institution of Mechanical Engineers began to appear in Europe. At the same time, society and professional journals originated in the United States, often with the proud word "American" in their titles. As the century wore on, the scholarly journal was joined by the trade journal, the magazine for the practitioner. Those early magazines were often more advertisements than substance but those that survived used the succinct, summary article to attract subscribers.